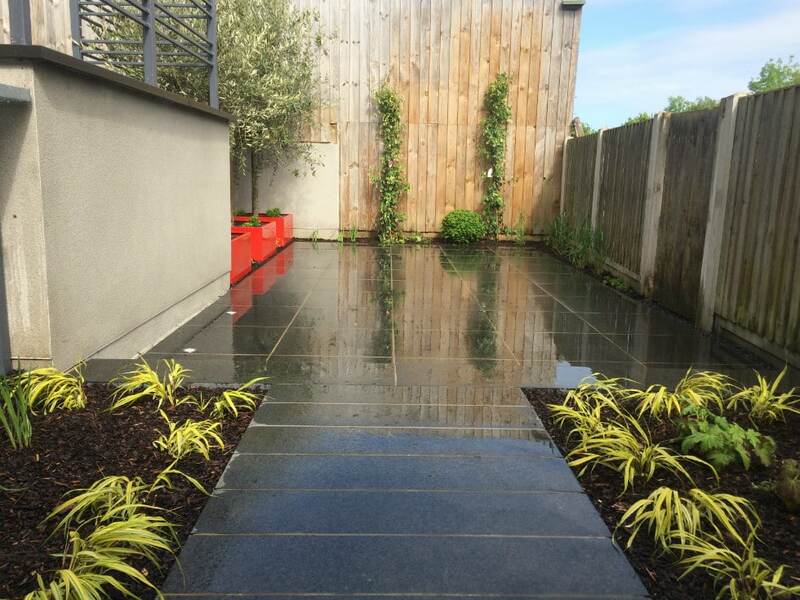 We often post photos of gardens we have built and we also have a few case studies on our website to show the consumer what is involved in the build of a garden. But it is still hard to explain what exactly is involved. To help visualise what is involved I set up a time lapse camera on a project we started last year. This was a particularly difficult project due to poor access into the garden, the garden was on very heavy clay and there was a 1.8 metre drop to the lower garden. The clients brief was for a useable garden which was suitable for the family, created some screening from the country park to the rear of the garden and was low maintenance. We asked Karen Chamberlain Garden Design to design this garden and she met this brief perfectly. Take a look at our time lapse video of this garden build. A few before and after photos.